Rizki Mardian received his BS degree from University of Indonesia in 2009, MS degree and PhD degree from Nagoya University (Japan), in 2013 and 2016 respectively. From 2016 to early 2018, he was a postdoctoral research associate working in a DARPA-funded project at the Broad Institute of MIT and Harvard, and Boston University, USA. 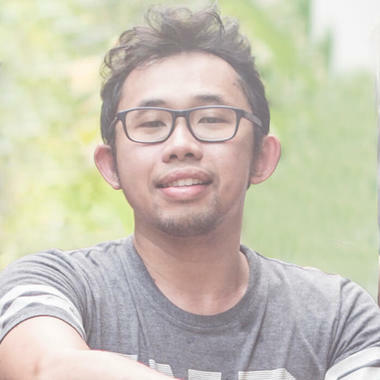 Coming back to Indonesia, he joined Qlue as Head of Data in summer 2018, and is currently managing the team of five, consisting data scientists and engineers. He is passionate about innovative technologies and research-oriented works to solve industrial problems at scale. Smart cities utilize multiple technologies to improve the life quality of the citizens. Over the years, Qlue has provided an integrated platform for crowd-reporting by the citizens and fast-response by the problem handlers, video camera analytics for law enforcement and security, and several different IoT sensors for bus tracking, traffic light control, etc. While these data have been very valuable sources of information for the government to respond and take actions, effective analysis and utilisation of big data frameworks are crucial, as these user-generated contents combined with IoT sensors data have resulted in the accumulation of huge amounts of raw and under-utilised information. In this talk, we will discuss about the opportunities, challenges, and benefits related to big data applications in smart city services. While a large number of data can be beneficial for accurate predictive analytics, the growth of data also invites new challenges in the engineering of the data itself. Big data analytics, has potential to enhance smart city services, not only for direct-to-clients use, but also to improve internal activities, such as fine-tuning of the developed platforms.